EU transport chief Violeta Bulc is expected to announce an overhaul of how countries charge road tolls this May – a controversial issue that has provoked bitter political fights lately and is likely to spark backlash from member states, the shipping industry and truck drivers. Belgian truck drivers protested last April against a new toll law by blocking motorways for hours. In December, the Commission struck a deal to end a fight with Germany’s transport minister over his plan to charge foreign-registered drivers a higher toll rate than Germans. Eleven countries neighbouring Germany are now weighing up how they can strike down the bill. In 2013, François Hollande’s government backed down from a planned truck toll after protests erupted around the country. The European Commission will propose changes to a law this May that will outline whether countries charge vehicles to use roads for a set number of days or according to how far they drive, the option favoured by environmental campaigners who say tolls priced by kilometre would take away an incentive to use cars. That is supposed to line up with the Commission’s declared goal of promoting a “polluter pays” road system that charges vehicles based on how much damage they do to the environment. Twenty-five out of 28 EU countries – all except for Cyprus, Finland and Estonia – charge tolls for trucks. Fifteen have similar systems to charge passenger cars. The German bill would introduce the first passenger car tolls in the country. 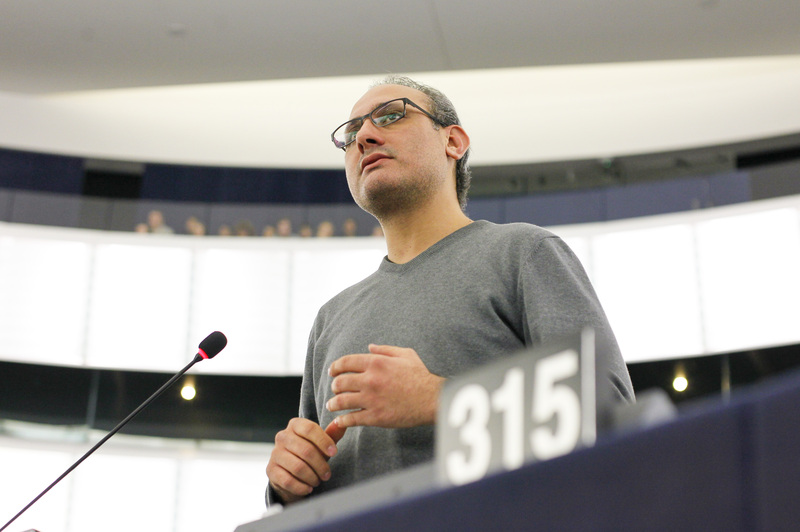 MEPs in the European Parliament’s Transport Committee yesterday (28 February) approved a non-binding report demanding the Commission require distance-based tolls and explain why it backed the German bill, which they called “discriminatory” against foreigners. The full 751-member house will vote on the report next month. 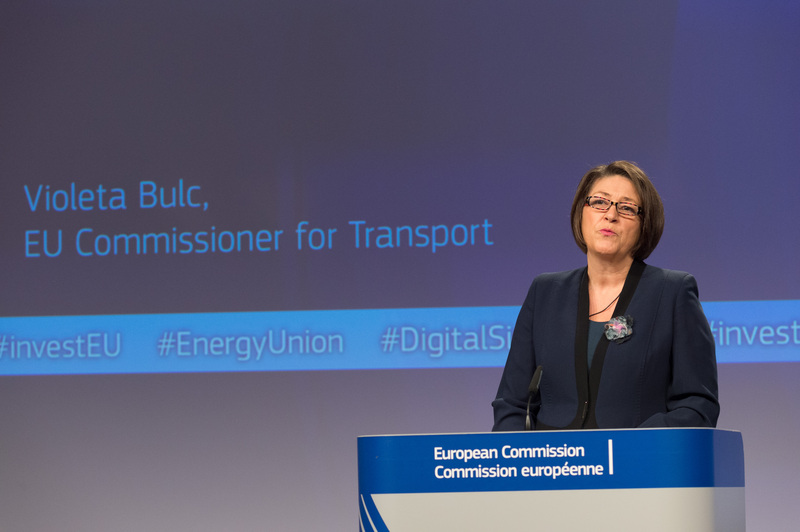 Bulc will also revise a second law in May that was passed in 2004 but never really had the effect the Commission wanted: to let drivers use a single electronic device to pay tolls wherever they travel in the EU. The proposal to change the electronic toll legislation will be less controversial than Bulc’s overhaul of rules affecting the kind of tolls EU countries can apply and whether less polluting cars should get a break on toll costs, something the Commission allowed in its compromise deal with Germany. EU officials expect the plans to streamline electronic toll systems to draw less criticism because the law has the crowd-pleasing goal of making it easier and even cheaper for drivers to cross borders. 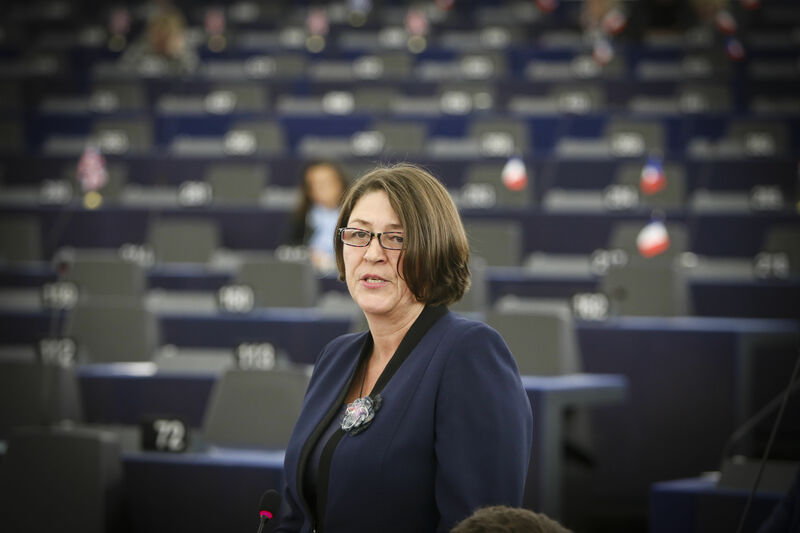 Bulc gushed about the proposal last autumn at a Brussels discussion on road tolls. “My dream is that I can travel from Portugal to Finland without stopping and being charged for the use of roads,” she said. 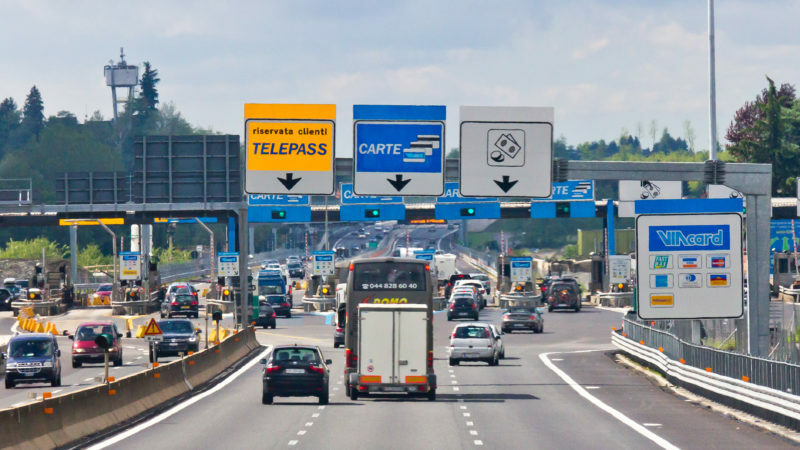 As of 2012, 60% of the 72,000 kilometres of European roads where tolls are charged use electronic systems, while drivers on the rest of the toll roads use vignette stickers that indicate how long they are valid. Since the electronic toll law took effect in 2009, driving across borders hasn’t become seamless. Only truck drivers travelling between Portugal, Spain, France and Belgium can use a single device to pay tolls but the law’s effects haven’t caught on in the rest of the EU yet. Truck drivers often carry ten or more different devices to electronically pay tolls if they need to cross EU borders, said Stuart Colley, communications manager at the International Road Union. Those devices are connected to different national toll systems and are paid through trucking companies’ subscriptions. “European electronic tolling systems with one OBU [on-board unit to pay for tolls], one contract, one invoice should bring costs down. There needs to be a single market for electronic trolling systems and the national bidding systems need to be opened up to competition,” Colley said. National road authorities and shipping companies that responded to a Commission survey published last month estimated that there are around 750,000 trucks that travel frequently between France, Spain and Portugal, while approximately 100,000 cross the German-Austrian border and 800,000 foreign trucks drive through Austria. Figures for cross-border truck driving throughout the entire EU are harder to calculate, according to the survey results. “Interoperability between cities is in a way more important than across member states. If you enter Salzburg by car you want Salzburg to be interoperable with Austrian motorways, German motorways and Munich,” said one source in the road toll industry. Several road authorities indicated that electronic tolls could help slash fraud and crack down on toll dodgers, and especially on rule-breaking drivers from other EU countries who they would otherwise struggle to track down. Part of what has made the law ineffective up until now is that companies that produce electronic road toll systems have struggled to meet tough standards requiring them to make their technologies compatible with every toll reading system across the EU within 24 months of registering as an official European provider. That status can come with benefits. Drivers can subscribe to whatever toll provider they want, so EU-wide operators compete for drivers’ business. But there aren’t enough signed up yet and competition is sparse. Because it can be expensive to make toll technology work with every system around the 28-country bloc, few toll companies have so far signed up as EU-wide providers. Three types of technologies are currently allowed to electronically collect tolls under the EU rules: satellite, mobile communication and microwave technologies. That selection has put a damper on making toll systems work in more than one country if it uses a different technology to neighbouring countries. In 2011, toll operators in Germany and Austria struck the first agreement to make payment systems compatible despite that difference. German toll systems use satellite while Austria uses microwave technology. The Commission has expressed frustration over the sluggish pace member states make their toll systems cooperate. “It is not more complicated technically to implement pan-European interoperability of electronic road toll systems than pan-European roaming of mobile phones or worldwide interoperability of credit cards,” the Commission wrote in a 2012 document detailing progress on the law eight years after it was passed. But making toll systems work cross-border has for the most part not proven easy. Belgium and Germany both use the same satellite toll systems to charge trucks. It might be technologically less complicated to make those systems compatible but authorities haven’t struck a deal yet. Truck drivers traveling between the two countries still have to switch to a different payment device when they cross the border. 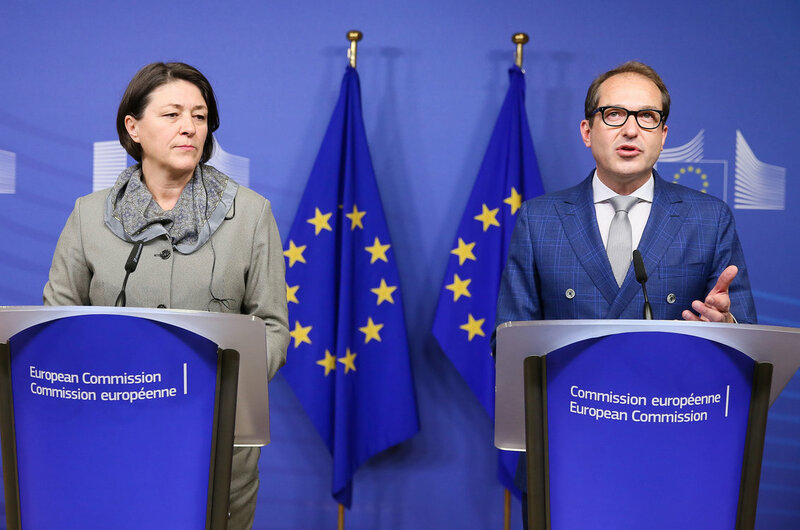 The European Commission launched an infringement procedure against the law and later referred it to the European Court of Justice in September 2016 but stopped the case two months later when Commission President Jean-Claude Juncker and Transport Commissioner Violeta Bulc brokered an agreement with Dobrindt over a comprise road toll law.